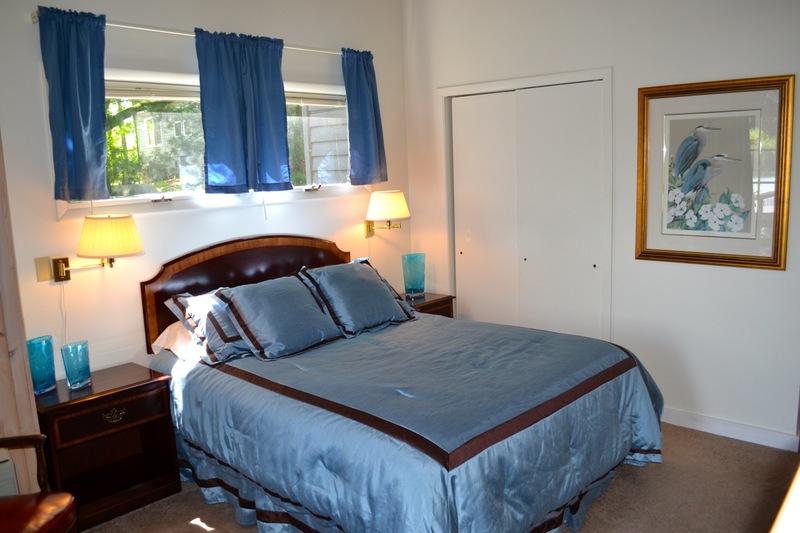 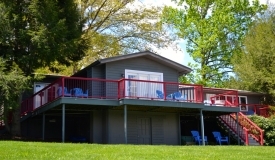 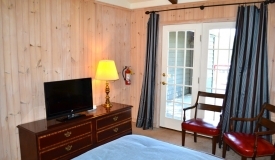 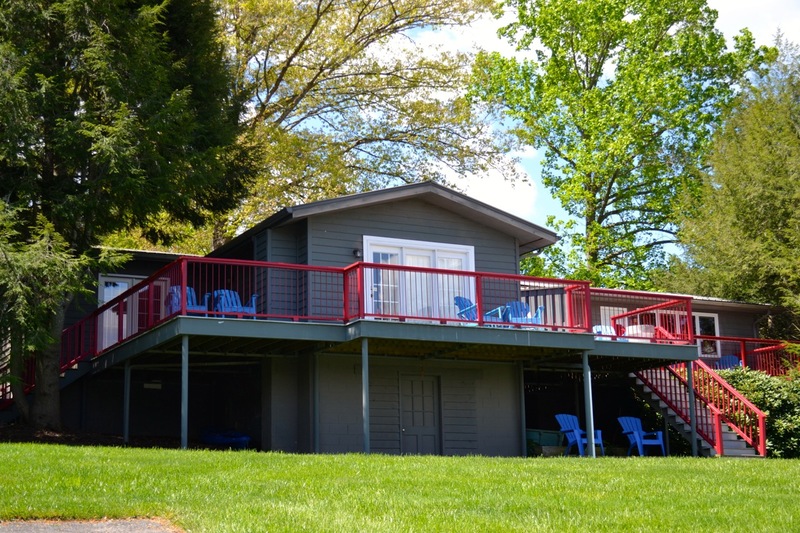 Our cozy Lakeside Guest Room features a queen bed, a deck with adirondack chairs, and a view of Lake Chatuge. 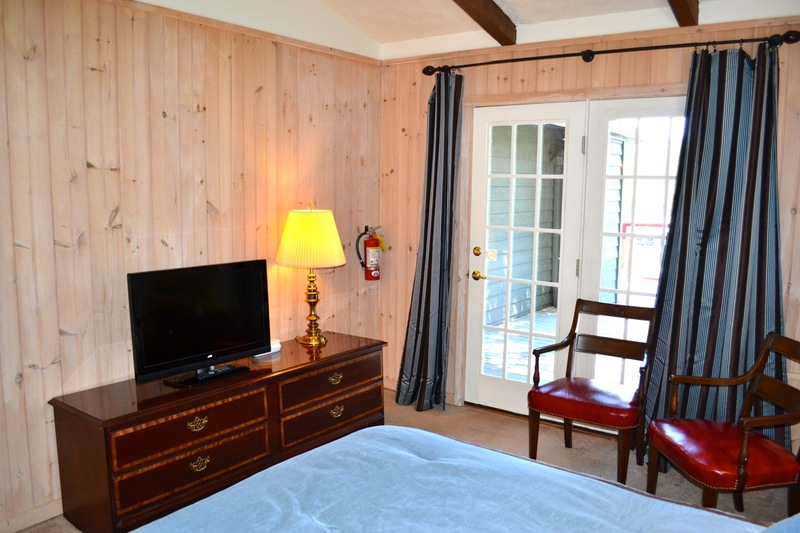 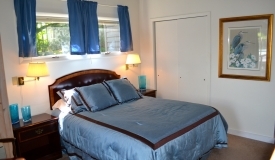 This room can be connected to our Lakeside King Suite. 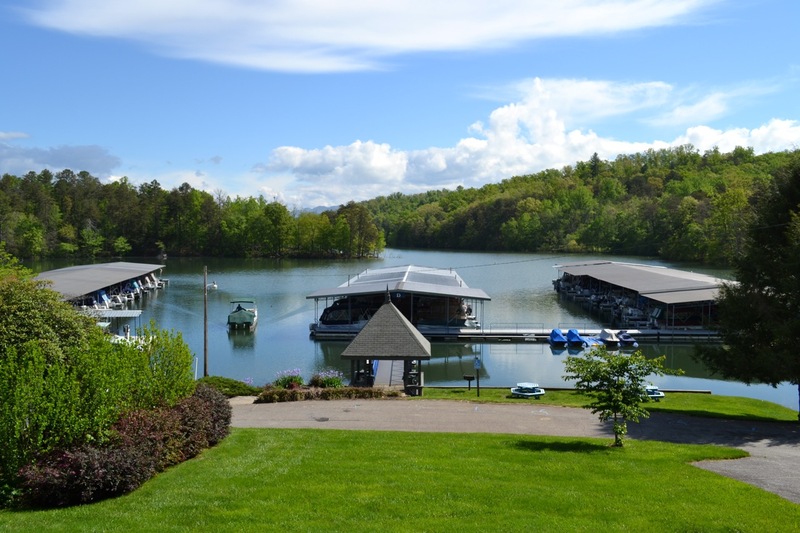 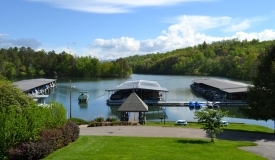 Our swim dock is located nearby, and we offer complimentary use of canoes and kayaks as well as free dockage for your private boat.